The chief executive of the New Zealand Food and Grocery Council (NZFGC) Katherine Rich has told Australian Food News today that the UK”s announced sugar tax will not help fight obesity. Under the UK tax, drinks which contain more than five grams of sugar per 100 millilitres of sugar are expected to be taxed the equivalent of AUD 34 cents per litre. 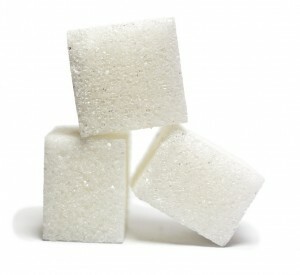 Drinks with over eight grams of sugar per 100 millilitres are expected to incur the equivalent of AUD 45 cents per litre. The UK Federal Government says all money raised from the tax will be spent on funding school sport. British Chancellor George Osborne said delaying the implementation of the tax until 2018 will give companies “plenty of time” to reformulate beverages so they avoid the tax. The tax on soft drinks in the UK, due to come into effect in 2018, is not the answer according to Katherine Rich who cites Mexico’s sugar tax, introduced in 2014, as a prime example of failure on the obesity front. Nielsen Research figures have revealed that consumption of soft drink in Mexico has only dropped by 0.39 per cent since the country introduced its tax in 2014. “To put this decline in percentage terms into perspective, it’s a fraction of the more than 4 per cent decline in consumption of carbonated drinks seen in the New Zealand market over the past 12 months – which occurred without any tax at all,” says Rich. “Those clinging to the pipedream that the Mexico tax is what success looks like as a public health intervention need to realise that the tiny reduction in litres amounts to not even one sip per person,” Rich says. Despite Rich’s argument, organisations such as the the Australian National Heart Foundation are applauding the UK Government’s decision to introduce the new tax. “It is vital the Australian Government takes a strong policy and regulatory stance on sugary drinks that echoes community concern over the role play in our growing obesity crisis,” said CEO of the Australian National Heart Foundation Professor Garry Jennings after the UK’s tax was announced. Although the Australian National Heart Foundation believes no single intervention of itself will overcome childhood obesity, it says the Australian Federal Government should explore options for a “healthy levy” on sugar-sweetened beverages, with the funds raised to be used to promote healthier lifestyles. The NZFGC’s Katherine Rich however believes other obesity-tackling measures, such as including promoting healthier beverages, could be implemented without the need for any sugar tax. “In Australia and New Zealand, the major reformulation programs of the main companies has meant there are more zero/low sugar drinks available now than at any time, and what’s more consumers are making the shift,” Rich says. “Ten years ago one in every ten drinks purchased was low-calorie and now here in New Zealand it’s close to one in three,” she says. Education programs are vital too according to Rich. “In New Zealand, the Heart Foundation goes into schools to teach about healthy eating and a separate programme helps school canteens offer healthier foods,” says Rich. “In 2009 industry and the government agreed to remove sugar-sweetened drinks from schools as part of a voluntary agreement. Also, a government-funded health organisation, the Health Promotion Agency, has campaigns to get the message out too,” she says. Meanwhile, in the UK, major beverage companies are now believed to be in talks with the UK Government and are potentially considering legal action. The proposed British tax will not include fruit-juices and milkshakes which Beverage companies may seek legal address by demonstrating that soft drinks are being unfairly targeted.